A month before Christmas, we decided to give our magnolia house a lick of paint, to cheer us all up in time for Christmas. 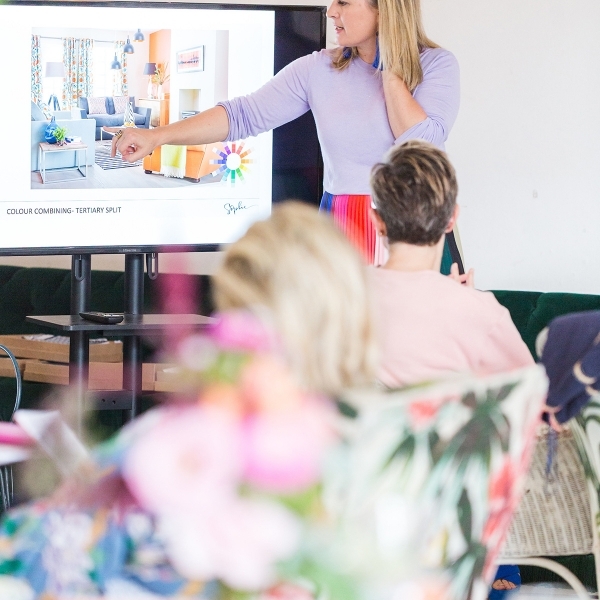 Paint is one of the quickest and most affordable ways to brighten up your home after all and I had a paint chart in my hand and was ready to roll. 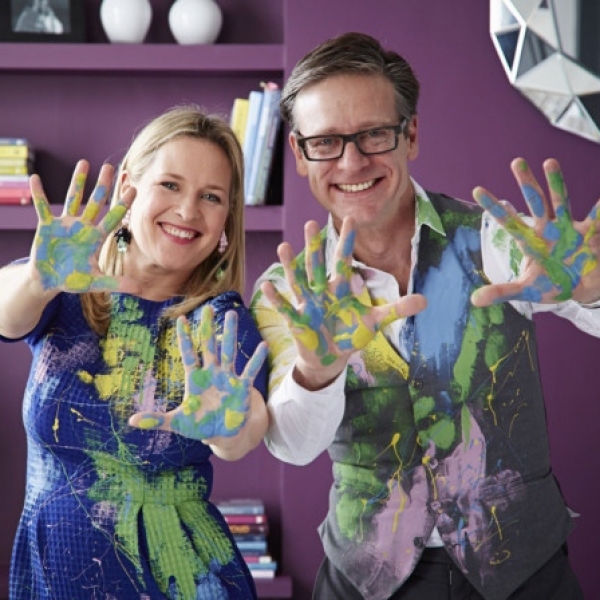 Then the Builder husband discovered raising damp, it became really obvious as soon as we started moving the large cupboard away from the walls, that the furry white smatterings of mould meant there was no hiding from the fact we had a major decorating disaster on our hands. “Surely we can just paint the walls, and put the cupboard back and it’ll be like we never found out!” I chirped hopefully. 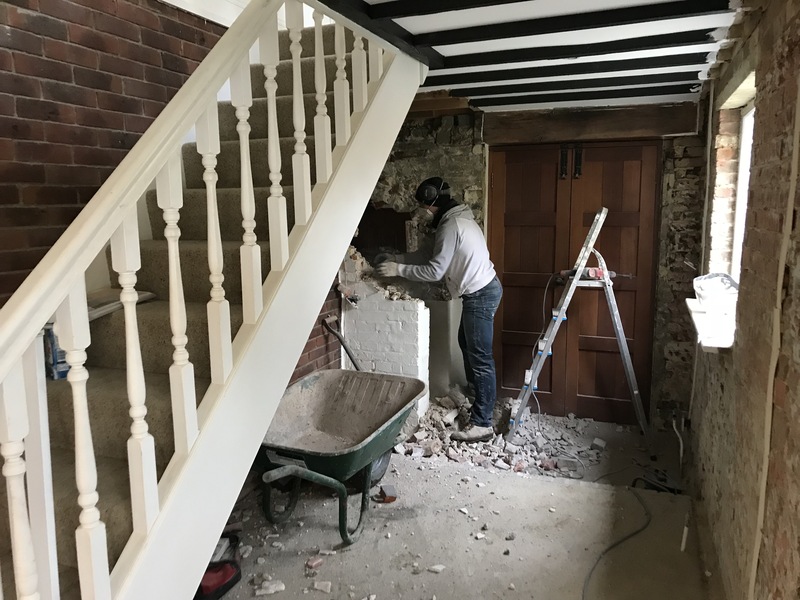 But after some solemn head scratching the damp detector wasn’t lying, within minutes the builder husband had a mallet in his hand and was chipping off all the render. Our house spiraled into chaos. 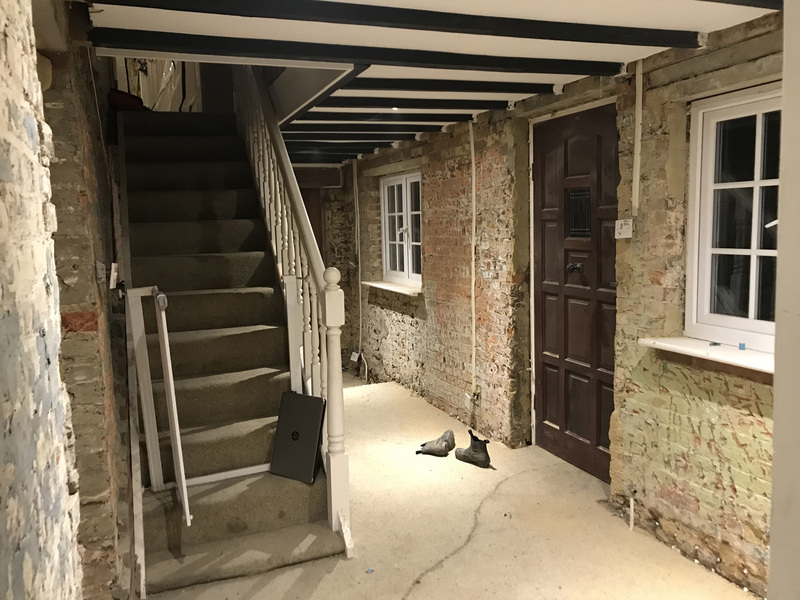 all the render was removed from the walls and a damp proof course injected at ground level, before a water prrof render was applied on top. Extensive work followed, including ripping out the kitchen units- yep, damp. And taking all the radiators off the walls. too. Christmas was re-directed to my Mums house and by the New Year we had freshly plastered walls. But no heating. Rather than rush to put all the radiators back on we decided to take this opportunity to install under floor heating. This would be heaven in helping to make our draughty Victorian farmhouse feel toastier underfoot in the cold winter months. But big deal for me was no more radiators! 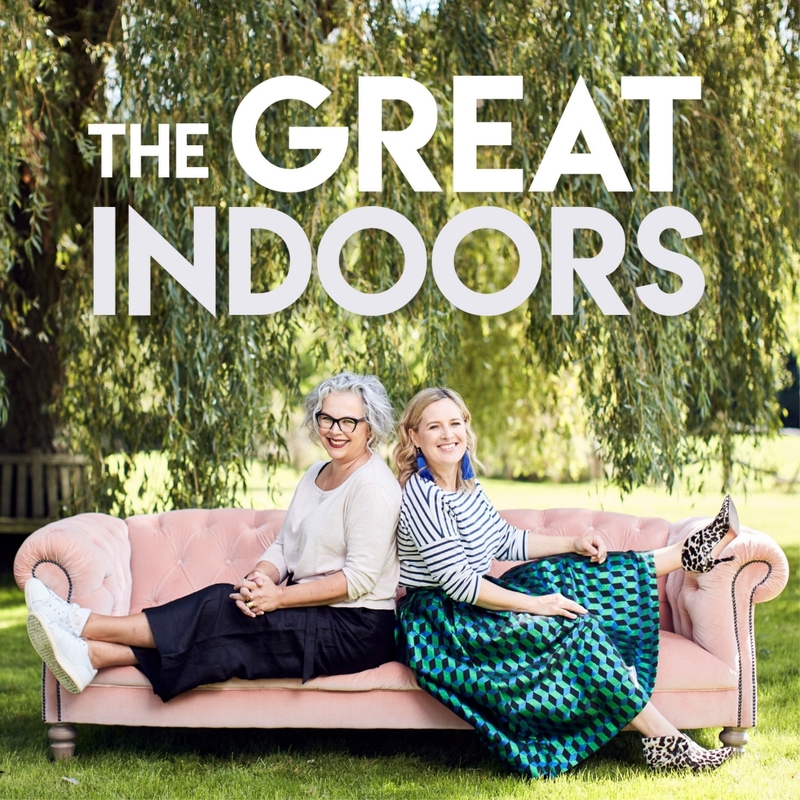 They are never situated where you want them and play havoc with your long curtains and positioning furniture. 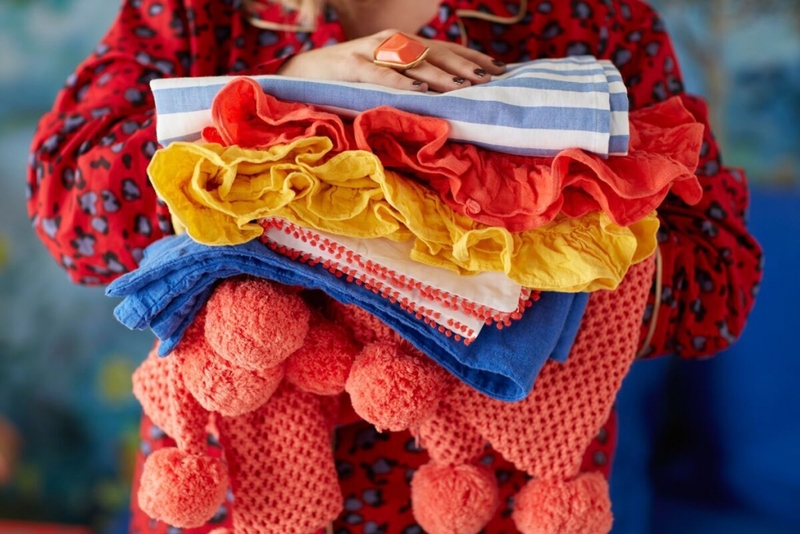 getting rid of them would massively streamline the look of the house. 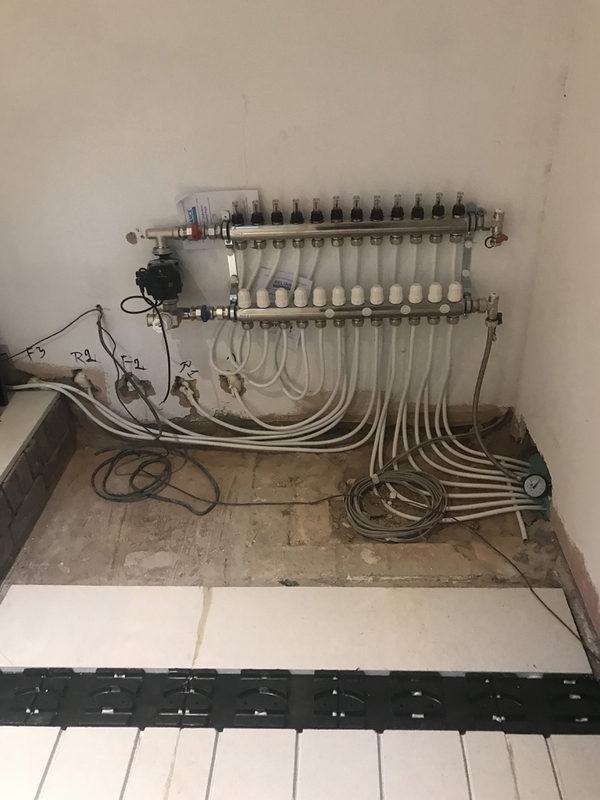 So we planned to install an overlay water fed under floor heating system. This is the perfect choice for renovations, as you don’t have to dig up the floor to lay the pipes inside the screed. It allows floor heating to be installed into existing spaces quickly, simply and practically. The system is a low profile panel, which is laid over existing solid or timber floors (solid in our case). Pipes are then woven in-between the boards and directed back to a central manifold, with the opportunity to have different rooms on different thermostat zones. 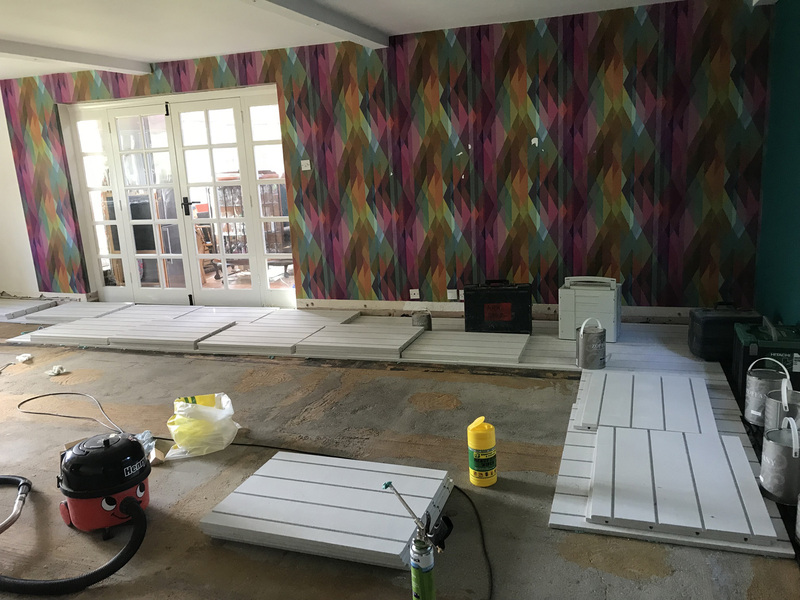 Tiles or engineered wood, laminate or vinyl can then be laid directly onto the system. The oh-so clever Builder husband has spent the past two weekends installing it and it was like the biggest Times cross word puzzle combined with the crystal maze to make sure the layout of the pipes worked out to plan. The technical support team from The Under floor heating store where amazing throughout and the plumber came this week to crank it up and get it all working. Just in time as the weather is on the turn! 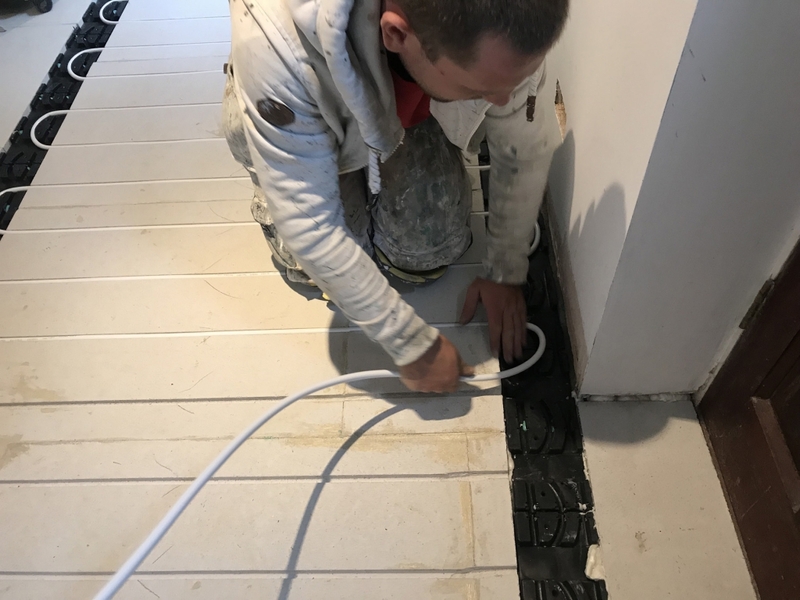 My husband is a very experienced builder and with the help from his plumber and the team at Under floor Heating store it’s been a huge success but I should stress that you need to be very confident before taking the installation on yourselves. Well as I sit here and type the warm floor is heating up in time for the evening, and it feels simply amazing! I’ve now got the very exciting job of choosing the floor coverings. 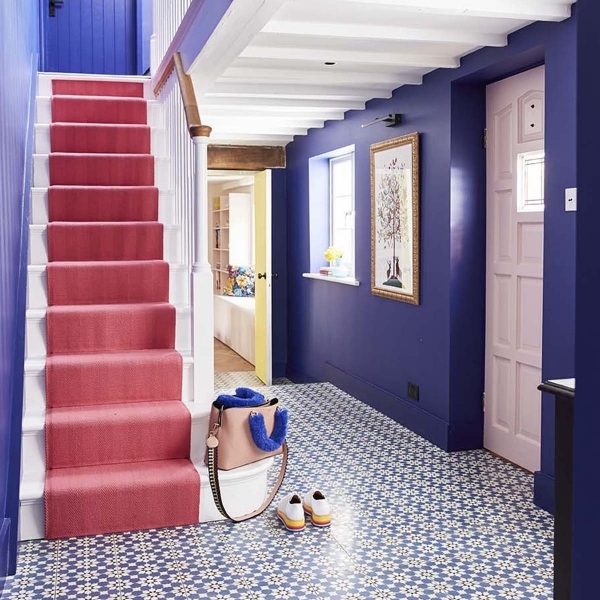 We have a bold and colourful patterned cement tile planned for the hallway,which I’m beyond excited to reveal which will go straight down ontop of the cement boards once they have been sealed. • What is the average price per square metre? Water UFH on average can cost anywhere between £15 to £35 per square meter depending upon installation method. Our ground floor is around 90 square meters and cost for all materials required for the installation across four rooms and four control zones, was £4.5K. Labour is a cost ontop. • What floor types can you lay on top? 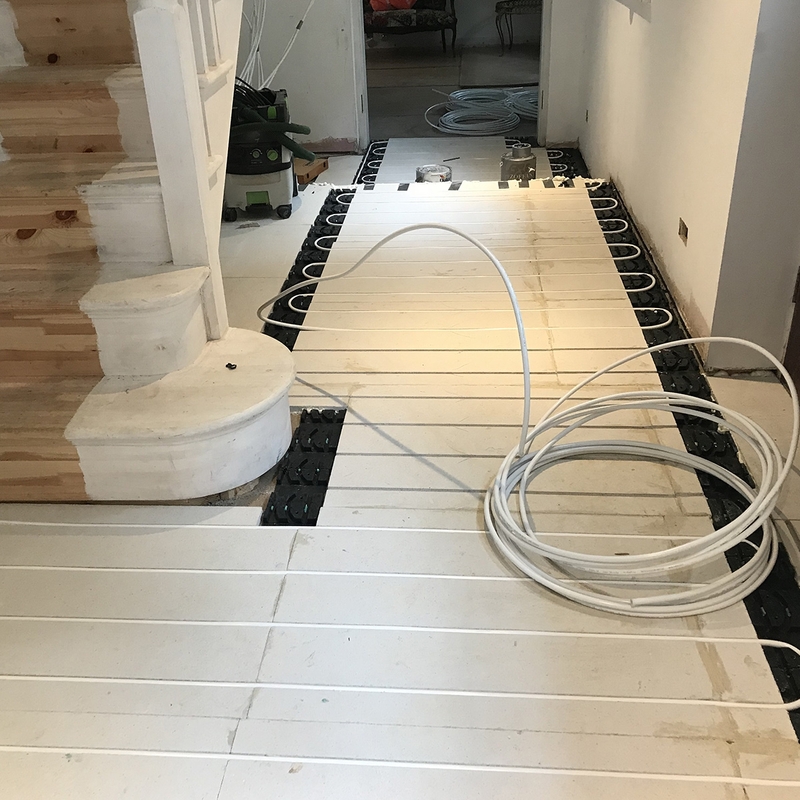 You can lay pretty much any floor finish on top of underfloor heating as long as the floor being supplied states that it is suitable for Under floor heating. Most manufacturers have maximum temperature ratings, such as 27 deg C for engineered and vinyl floors. Underfloor heating works best with tiles as these have a low thermal resistance, so allows the heat to flow through. Carpet being the worst floor finish. Engineered wood will be in between the two. • Is it a DIY product or should you use a professional plumber? It can be part DIY installation, but the connections and pipework to the boiler must be completed by a qualified plumber and wiring to be done by an electrician. • Is underfloor heating cheaper to run than radiators? It can be cheaper to run than radiators when installed in the right conditions. In other words when used under a floor finish that allows the heat to flow through, such as tiles. With other floor finishes, you may find the running costs are similar to radiators, however you will still have the benefit of a nice even heat and no wall space taken up by radiators! • Does it work well with conventional boilers, solar power energy and ground source heat pumps? You can use any type of heat source to provide heat for underfloor heating. 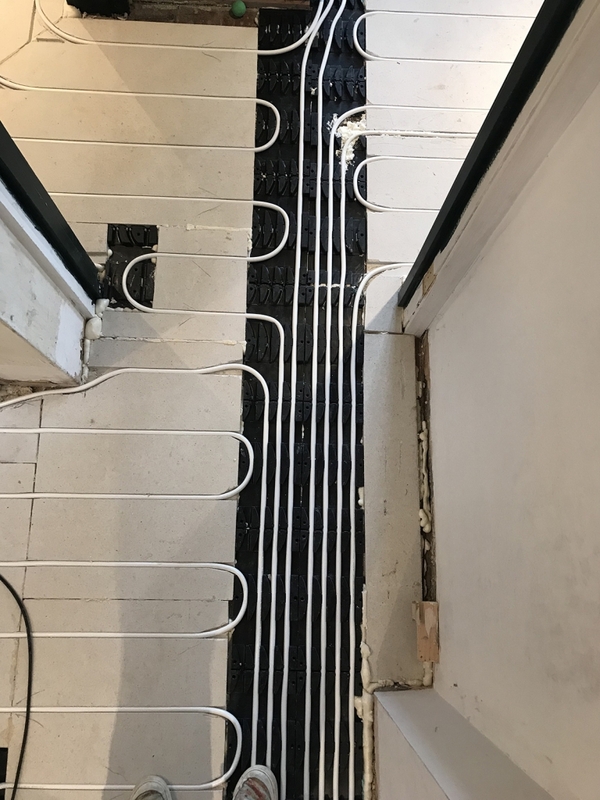 If using lower temperature heat sources such as heat pumps, you will need to install the underfloor heating pipes at closer pipe centers of 150mm instead of 200mm. • Is it an eco option in terms of energy use and efficiency? It depends on the heat source as this will determine how much energy is used. Under floor heating is more of a luxury, giving the freedom of open wall space and a nice even heat across the entire room. • Is it easy to damage? Should people worry about leaks? Can it be repaired if drilled through! It is a very tough pipe and there are no joints under the floor, unlike in a conventional radiator system. There are less chances of leaks with this compared to radiator pipework. • Can you put rugs and hard floor over it. I have heard it can cause engineered floor to de-laminate if you put rugs on top. Is this true? With water underfloor heating you can put whatever you want on top of it without damaging the underfloor heating. However, this will reduce the efficiency and heat output, for example, if you were to put rugs on top. The other risk (you are right) would be that where the rugs are laying they could cause a floor finish to get too hot and exceed the manufacturers maximum rating (e.g. engineered wood or vinyl max 27 deg) and cause damage, as the heat would build up underneath them. • Can it be used in extensions if the rest of the house is heated by radiators? Yes, this would be treated as a separate heating zone. This is easily done by a competent plumber. • What are the comparisons with electric underfloor heating? Cost, effectiveness, energy efficiency? Water under floor heating will be approximately half the running cost when compared to electric (if using gas boiler). Electric heating is ideal for a small bathroom or WC but not to heat a house or large room. • What are the comparatives with sub floor underfloor heating? Cost, effectiveness, energy efficiency? 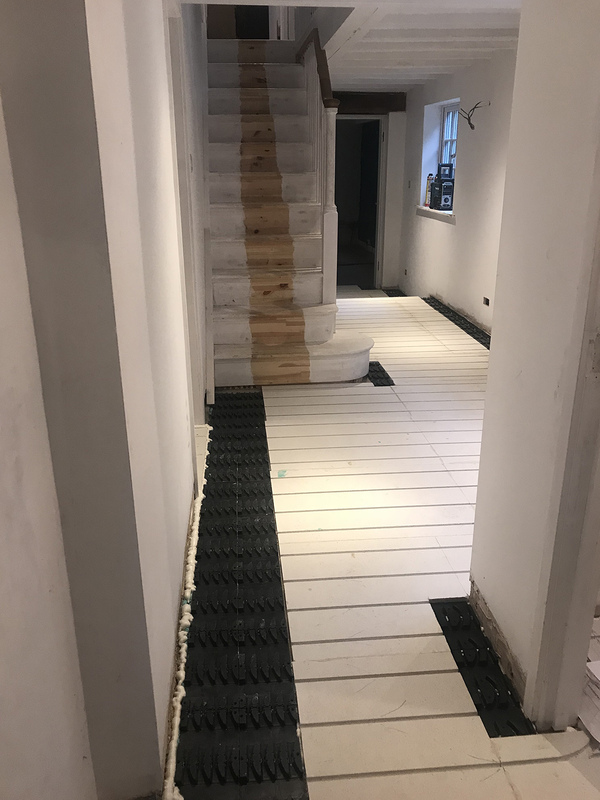 Water under floor heating works best when installed in a new screed with tiles on top. 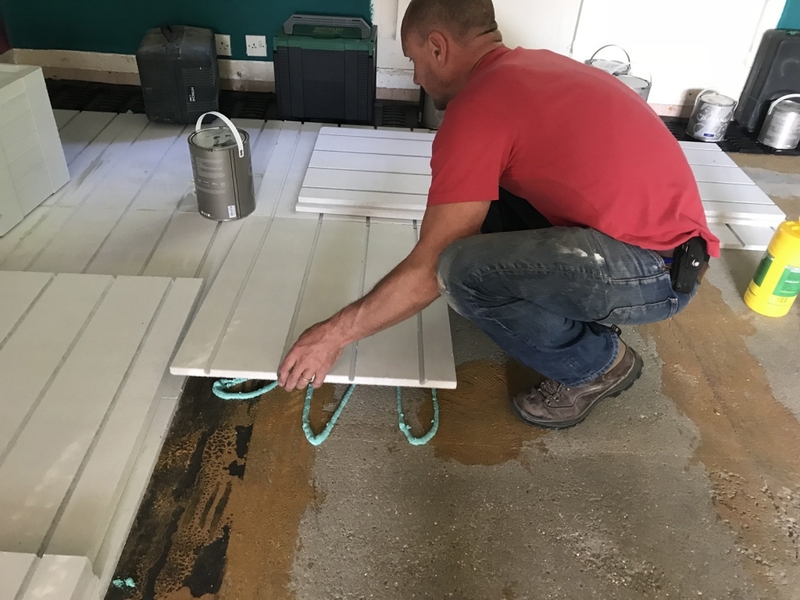 The higher the thermal resistance of the floor finish the lower the heat output will be and therefore the longer the heating system will need to be on to heat the room. It is hard to give exact figures on this as every type of floor finish will have a different thermal resistance value. However, as a rough guide if we use tiles as a starting point, an engineered wood floor would be approx. 15% less efficient and a carpet system would be another 15% less efficient than this. The exact running costs of heating a room will also depend on the heat loss.